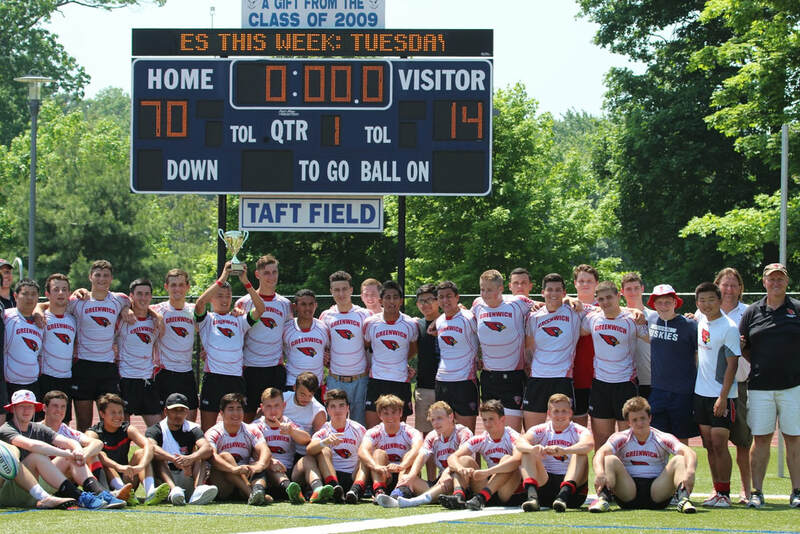 2016 was a tremendous year for Greenwich Rugby as a program. This year we challenged ourselves to play as much high-level rugby as possible and that task was more than accomplished. The season started off with a bang by winning the Four Leafs tournament at Randall's Island. However, after an upset loss at Fairfield, the team fired right back with a strong third place performance at the Jesuit Classic in Virginia. A week later, we faced one of the biggest challenges of the season, the annual match versus Xavier. Our third victory against them in Greenwich’s history was the highlight of the year and it shows how far our club has come. As one of the elite high school teams in the country we went down to Charlotte, North Carolina for nationals where we finished 6th in the country. We defeated a strong La Salette side and played very close games against Penn and St. Edwards. Our 9th straight Connecticut State Championship was an appropriate closing to a successful season. The freshman won the Fairfield Prep Tournament this year and the JV and Varsity B teams had very strong seasons as well. It’s good to know the future is in good hands. The three of us are honored to have had the title of captain this year. Good luck to the underclassmen next year and thank you to all the parents and coaches who made this season possible.